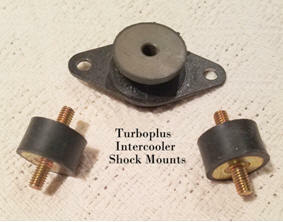 Turboplus Design Benefits From Turboplus Aircraft Systems Inc.
Turboplus Intercooler Shock Mounts: Turboplus uses shock mounts on ALL intercooler installations. The cylindrical vibration isolator is compression mounted to control noise, anti-vibration and shock isolation between engine structural supports and the Turboplus intercooler assembly. Rigid/hard mounting of an intercooler assembly will absorb the shock and or engine vibration, possibly causing long term damage, or replacement. Shock mounts have been used in aviation for many years with proven results. Their long-term benefits provide extended life use for the item they are intended to protect. 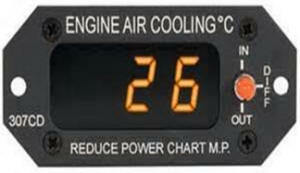 Turboplus Custom Naca Ducts: This directs ambient air flow right to the Turboplus intercooler installation. This eliminates drag and little to no high-altitude icing. Also, the Naca Duct provides the same results located at the new Turboplus induction plenum (with automatic alternate air door) installed on or near the turbocharger (most models). Fly Cool. Fly Fast. Save Gas.